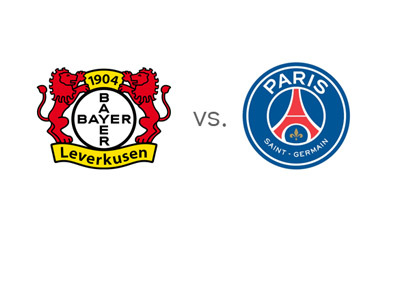 Bayer Leverkusen are hosts to PSG in the first leg of the UEFA Champions League round of 16 on Tuesday, February 18th, 2014. Bayer Leverkusen are second in the German Bundesliga standings at the moment, miles below Bayern Munich and one point ahead of Borussia Dortmund. Bayer finished second in Group A of the UEFA Champions League, behind Manchester United and ahead of Shakhtar and Real Sociedad. It has been a great season so far for Leverkusen, but they are coming off two recent home defeats vs. Kaiserslautern (0-1) in the German Cup and vs. Schalke (1-2) in the league. They will have to step it up big time vs. PSG if they are to stand a chance of qualifying for the next round. The team's leading scorer is Stefan Kiessling, with ten Bundesliga and two UCL goals so far this season. Paris Saint-Germain are a force these days. They are first in the French Ligue 1 standings at the moment, five points ahead of second place Monaco and thirteen ahead of third place Lille. PSG are in the finals of the Coupe de la Ligue and they won Group C of the UEFA Champions League, which also featured Olympiacos, Benfica and Anderlecht. Most recently, PSG beat Valenciennes 3-0 at home, after drawing 1-1 with Monaco the week before. Zlatan Ibrahimovic is the team's leading scorer with nineteen Ligue 1 and eight UCL goals so far. PSG are stronger, more experienced and more expensive this season. They brought in Edinson Cavani last summer and further strengthened their star-studded squad this winter with the addition of the French international, Yohan Cabaye. Cavani will be out of the first leg match due to a hamstring injury. Bayer Leverkusen's potential advantage in this matchup is that the German Bundesliga is a lot stronger than French Ligue 1 these days. Leverkusen are well practiced in playing against tough opponents week after week. Ibrahimovic has won a lot of competitions over the years, but the UCL trophy is still the one missing in his collection. Winning the champions league is his and his club's top priority over the next few seasons. It will be interesting to see how things play out on Tuesday. The second leg will be played in Paris on Wednesday, March 12th, 2014.